In 1995, agency programs were profiled in six national best practice publications. This included President Clinton’s 1995 National Homeownership Strategy. In 2007, agency Executive Director Dru Bergman received the Affordable Housing Leadership Award from the Illinois Mortgage Bankers Association. In 2007, the agency was named the Notable Not-for-Profit Organization of the Year at the DuPage Business Ledger’s Annual Awards for Business Excellence. H.O.M.E. 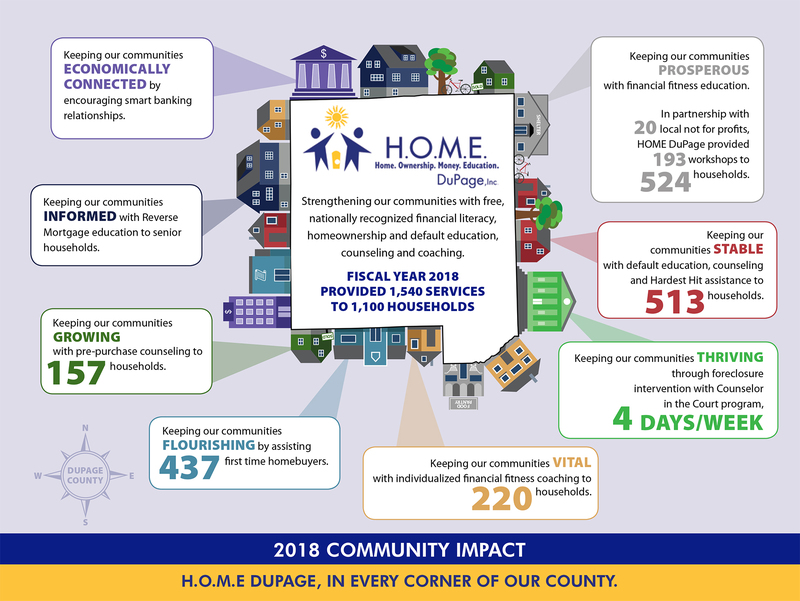 DuPage, Inc. counselors receive biennial on-site HUD performance reviews. A customized database tracks counseling clients and provides H.O.M.E. DuPage, Inc. with quantitative performance measures. Every H.O.M.E. DuPage, Inc. client receives a satisfaction survey to provide feedback, service refinements, outcomes and improvements.